Hello friends! I have a new monthly series I am finally going to announce to you. This is something I have been wanting to do for a long time. 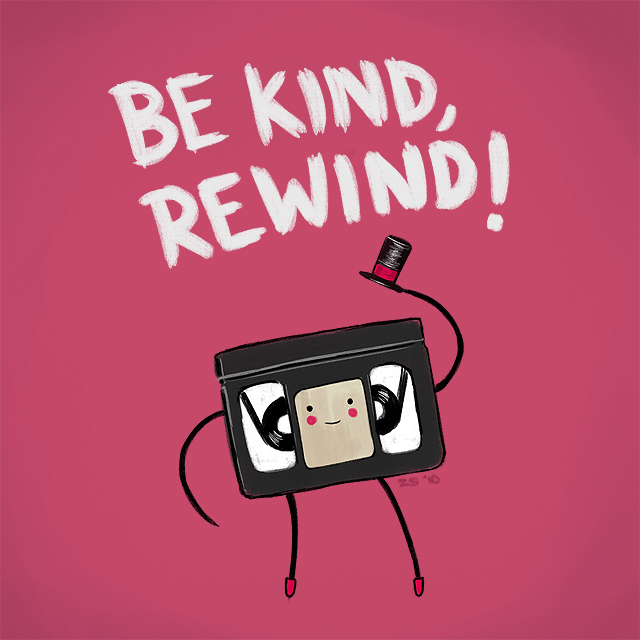 Today I bring to you Review Rewinds. This is where I take a look at previous reviews and how my opinions have changed on the rewatch both for good or bad. What? I can hear you say. How can we trust you if your reviews change? Well, I’m a human being and my experience at a film can be impacted by a variety of factors. I could be tired, annoyed, sick of a particular actor or director. There could be a number of similar films coming out at the same time which might make me more critical and on the rewatch when I’m separated from that experience I appreciate it more. The other factor is I often struggle to come up with a grade that adequately expresses my feelings. This is why I am very happy about my new smile and frown worthy approach. I don’t think very many movies go from being smile to frown worthy on the rewatch. They just might drop from an A to a B or a B to a C+. Anyway, I thought this would be fun and show my history with a film not just an initial viewing. From my original review “Got to see Avengers Age of Ultron and loved it!! It’s a great movie and right up there with the original”. That was how I felt at the time so it was an honest response. I still love the first Avengers movie and I admire the sequel but the two movies aren’t close on the rewatch. 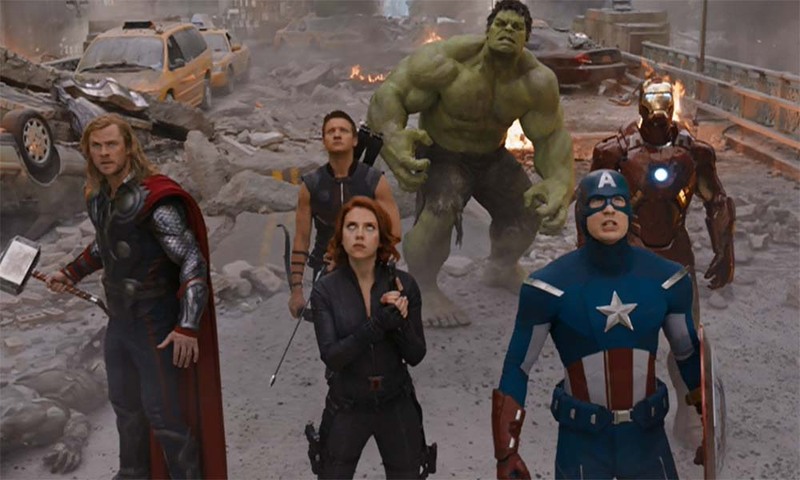 The original film has Loki as the ideal villain and the death of Agent Coulson to gather the gang together. In Avengers: Age of Ultron you have Ultron who is fine but fairly basic. I still like James Spader as the voice of Ultron, but there’s not much to him. But the biggest difference is they try to create emotion with Hawkeye and his family and it doesn’t work nearly as well as Coulson who we’d gotten to know in all of these other Marvel movies. I love the party scene in Ultron and the banter between the characters. That still holds up but certain scenes are bit boring like the Hulkbuster scene. Speaking of the Hulk, Bruce should put way more of a fight up against Tony’s insane ideas but he doesn’t. Especially with all Bruce has been through with the gamma radiation he should be very hesitant to do all these experiments. Oh well. I still enjoy Age of Ultron but not as much as I did when I first saw it. Review Rewind! From my original review “They are entertaining to watch, pleasant to look at, but in the end kind of forgettable.” To my surprise I gave Rio 2 a C despite admitting it is “weaker than the original”, so that must have been some kind of mistake. 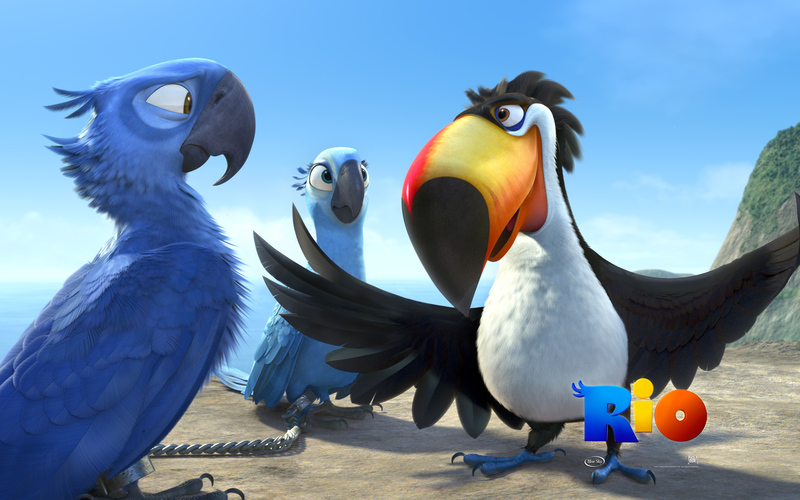 I watched Rio for family movie night last summer and I found it quite charming. It’s not the greatest movie I’ve seen in my life but I enjoyed it and felt I was too hard in my original review. One of my main problems with the film was the voice acting. I said “Of all the voices the only one I liked was Jermaine Clement as the bad Cockatoo named Nigel.” On the rewatch I didn’t have a problem with the voice acting. Sure Anne Hathaway doesn’t sound like someone from Brazil but I guess I’ve been worn down so I didn’t care. You don’t need the celebrity voices but they do fine. None of them are annoying like Kevin Heart in Secret Life of Pets. I say the “extended musical numbers that don’t do anything for the story and are just kind of average.” Again on rewatch I like musical sequences. I think they have color and life and are a lot of fun to watch. It’s so weird because I’m usually won over by musical sequences! This was a mini review and I admitted ” it is expertly crafted but I found it kind of unpleasant to watch”. Sometimes this happens with a film. I will walk away saying ‘boy they did a good job…and I never want to see that film again”. I can honestly say the makers of Edge of 17 did a great job doing what they were trying to do. However, I can also say it left me depressed for the rest of the day and I never want to see it again. 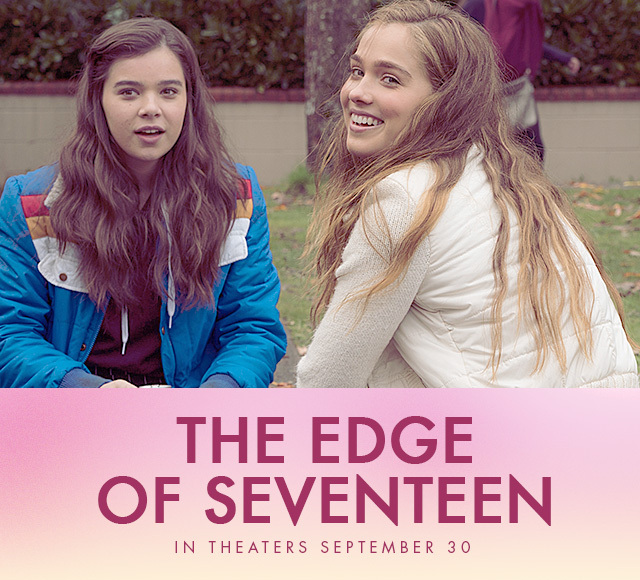 It goes back to the lead character Nadine who is the quintessential surly teenager. It’s very well done. The problem is I have no desire to spend 2 hours with a surly miserable 17 year old. It reminded me of my surly days and honestly I called my Mother and apologized after, so I guess it was positive on that level. The performances are all good but it left me feeling cold and sour. In the review I said “Everyone is comparing this to John Hughes and I guess it is like 16 Candles the most but I prefer this”. I’m not sure what I was thinking there because at least 16 Candles has some joy and goofiness in it. This is just so caustic and I found it even more so on the rewatch. So I have finished my viewings of all the Marvel Phase 2 movies. If you want to see my best shots and thoughts on Phase 1 click here. This is all to get ready for Captain America: Civil War coming in a couple of weeks. I haven’t decided if I will do this with the X-men movies but there are fewer of those so why not? I think after that I need to do a Merchant/Ivory series or something like that. It’s kind of nuts that since the beginning of March I will have seen including Civil War and 2 viewings of Batman v Superman 30 superhero movies. That’s madness I tell you! Anyway, Marvel Phase 2 has its hits and misses just like Phase 1. But I think that Marvel isn’t given quite enough credit for trying new things with these Phase 2 films. They went for it with Iron Man 3 with a very different director in Shane Black. They let the Russo Brothers give us a political thriller combined with great action in Cap 2 and took a real risk with James Gunn and the Guardians of the Galaxy. I don’t think any of these movies are awful but for me the risks sometimes paid off, and sometimes didn’t, but at least they are taking them. I look forward to seeing Civil War and our introduction to Spiderman and the conflict between Iron Man and Captain America coming to a forefront. Then we will be on to Dr Strange, Thor Ragnarok and Infinity Wars! The thing I like about Marvel movies is I like their heroes. I’ve never been much a villain girl, and I think even in the less successful Phase 2 films we got to know our heroes a little bit better. They are becoming fully fleshed out characters and that was always my issue with comic book movies. They were always too dumb for their own good and the heroes were given the shaft over flashy spectacle action and villains. Marvel also almost always nails the casting and the lighter tone is more palatable to me. What’s your favorite Marvel Phase 2 movie? What do you think of this group of movies? I would love to hear your thoughts in the comments section. This movie has a lot of highs and lows. The lows for me are the cheap twist of The Mandarin. I don’t know the comics (and evidently it was a betrayal of the character in the comics) but in the movie it felt cheap. Making him an actor and so silly just didn’t work and felt a little insulting to the viewers. If you haven’t guessed by my feelings on M Night Shyamalan I’m not a big fan of twists in movies. At least I usually get really annoyed when I feel like I am being tricked or it is too cute. That said, what I did like about Iron Man 3 is Tony’s struggle with anxiety and PTSD. It makes sense a superhero would struggle with anxiety and I think Robert Downy Jr was convincing in those scenes. It makes the events in Age of Ultron make more sense when you realize how physically and mentally taxed Tony is by his duties as an avenger. So for my best shot I picked a scene where Tony is mid-anxiety attack and you can feel his panic. As someone who has dealt with panic attacks I thought it was very moving. The cheap gimmick of Iron Man 3 and the Mandarin made me like it less than Thor: the Dark World but it is probably the worst Marvel movie. A lot of the action is murky and hard to make out. Natalie Portman is annoying as Jane and given way too much screen time and the story I didn’t really care about. In fact, after a couple of days since my viewing I’m having a hard time even remembering what it was. The part I did like was the scenes between Loki and Thor. Tom Hiddleston and Chris Hemsworth are so terrific for these parts and they have great chemistry. The final scene where we see Loki laughing on the throne made me smile and so it gets the best shot. What a great entry in the MCU! The Russo Brothers proved they know how to film incredible action and write a tight, exciting story. I love Chris Evans in this part and we get some emotional growth for the character with him coming to terms with his age and what he has lost along the way. I love the dynamic between Cap and the Winter Soldier. I loved all the action in the film. But when Steve has to fight Bucky it is emotional and exciting at the same time. He even says ‘don’t make me do this’ and you feel for the character. The Nick Fury death was kind of annoying but his car crash was amazing. It’s such an entertaining film. This shot I feel covers what is great about the movie. Cap with his shield getting ready to face off against his friend the Winter Soldier. I love Guardians of the Galaxy! Back when I reviewed it on my other blog I said it was one of the ‘great movies of 2014’ and I stand behind that. It was Marvel’s first attempt to create a space opera and I love what they accomplished. 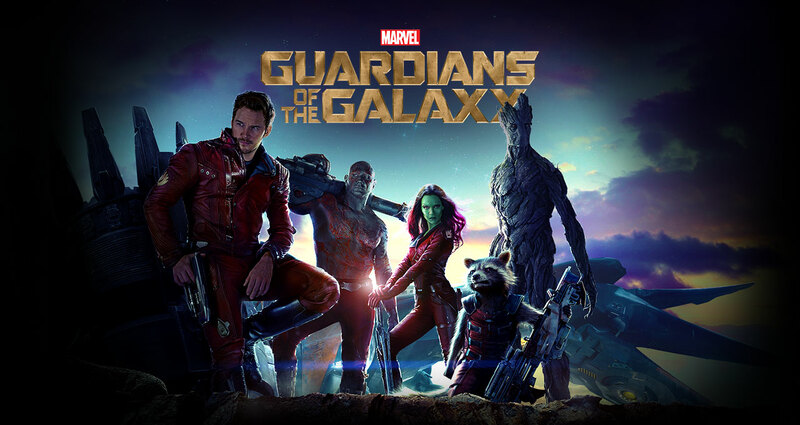 Star Lord and his band of misfits join together over the course of the movie. It is not immediate and they each have different types of outlaw personalities that blend very well together. To me it was a lot of fun watching them zoom across the galaxy looking for the globe/infinity stone. All the actors do a great job and the soundtrack still makes me smile. It is well written with enjoyable action and just what I want from my space operas. I chose this shot because I love this team of characters! I probably like Age of Ultron for unusual reasons. Most people probably like the big action scenes like Hulk fighting the Hulkbuster or the opening action battle. For me I like the back stories and visions we get of each character. I found those scenes gave a depth to these characters we rarely see in a comic book movie. It all starts with Tony getting a vision of his friends slaughtered and Cap (of all people it would be Cap) says to him ‘you could have saved us…’. Going back to Iron Man 3 and his panic attacks this vision is especially chilling. I also thought seeing the sterilization in the past of Black Widow was very moving. Same with Steve and the life he has left behind. I also liked the contrast between Vision and Ultron. I thought it really worked. I see why many were disappointed as it is more somber and maybe over the top in the conflict but to me it worked emotionally on a different level than Avengers, which was more fun than anything else. So, I picked a shot from Tony’s vision because it captures what I admired most about the film. 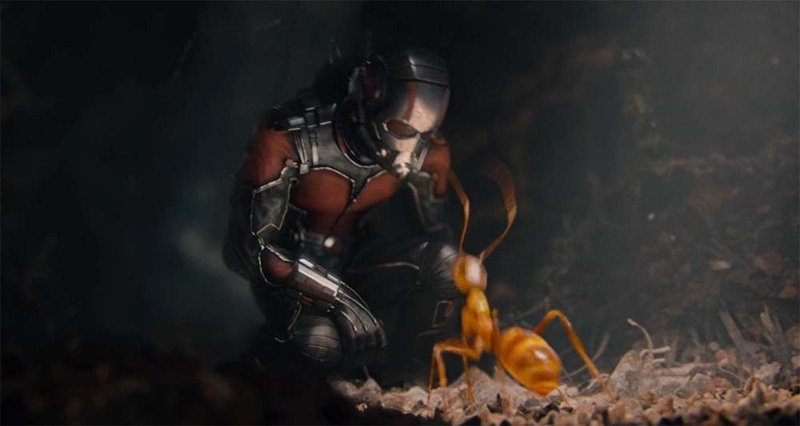 If you had told me a few years ago that I would like a movie called Ant-Man I would have said you were nuts. They even joke about how stupid the idea sounds within the movie. However, if you get Paul Rudd to play the character suddenly I’m on board (I’ve loved Paul Rudd since I was in high school watching Clueless). I know this film had production problems but what they created was something very satisfying and fun. I like how it feels very small (forgive the pun) compared to Age of Ultron (or really any other Marvel film). It is at heart a heist movie and it works on that level. I liked all the performances except for Evangeline Lily who I thought was wooden and flat. It made me laugh and the visuals were really cool. I didn’t even mind Yellow Jacket as the villain because I love Cory Stoll. To me it worked and this shot captures the magic of the film. (And no, I could care less about Edgar Wright leaving the film. Get over it!). So there you have it! My thoughts on Phase 2. On to Phase 3 in a couple of weeks. I’ve heard great things so I am very excited for Civil War. It should be intense but also a lot of fun. Got to see Avengers Age of Ultron and loved it!! It’s a great movie and right up there with the original and recent strong Marvel movies like Captain America: Winter Soldier. They have a new villain named Ultron who is an artificial intelligence created by Tony Stark and is perfectly voiced by James Spader. He’s the kind of villain that is all bad but is extremely dominating. There were a lot of moments where I didn’t know how they were going to get out of these situations. I really liked the 2 new additions with Quick Silver played by Aaron Taylor Johnson and Scarlet Witch. There is also another new character that I won’t spoil for you. Joss Whedon has done it again with a script that is full of humor but lots of good action and tension. All the leads are funny but have moments of growth and development. We particularly see a new side of The Hulk and get to know more about the Hawkeye backstory. Great music from Danny Elfman and the visual effects work great. The climax is very exciting and like I said I really didn’t know how they were going to defeat Ultron. There are also lots of cameos from the MCU. I loved it. A very satisfying time at the movies. As far as content there is a lot of carnage and a scene where a building is toppled to the ground with all the debris that felt a little too 9/11 inspired for my comfort levels. There is a tiny bit of language but nothing big. I’d say it is pretty family friendly. “It’s at this point I must make a confession- I don’t like super hero movies. It’s hard to explain why but I have never liked them. With the exception of Harry Potter, I can’t think of a super hero/fantasy franchise I’m a fan of (I’m a marginal fan of Lord of the Rings). I also like the original Star Wars and Indiana Jones, but they have been sullied by mediocre follow-ups in recent years. 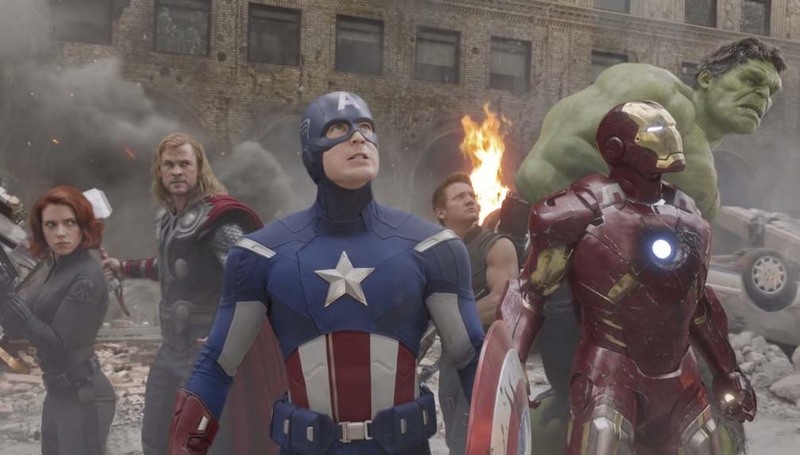 So, yes I had sworn off superhero movies and all their progeny but then Avengers happened and I smiled at these likable fun characters with witty dialogue. And we got 2014 and I saw Captain America 2 which was actually a spy movie, Xmen Days of Future Past which is actually a time travel story, Guardians of the Galaxy which is actually a space opera, and Big Hero 6 which is a movie about loss and grief in the guise of a superhero movie. It was then I had a revelation ‘I like superhero movies when they aren’t superhero movies’. Ding, ding, ding! Fortunately for me Hollywood has figured this out and aside from the odious Man of Steel and the cluttered Amazing Spiderman 2 they have had a remarkable track record of late to the point where I’m actually looking forward to superhero movies now (although highly skeptical about Batman v Superman but we will see). Marvel at least has made me a believer. I feel like I also have to give a caveat that I am actually not a big Dark Knight fan. It’s super well made and acted but it was just too violent for me and I found it cynical, dark and Batman is such a bore. I wanted him to lose the whole way through. You can all hate me now but it’s really how I felt…. So with all that what are my favorite superhero movies? Here goes. 10. Superman- Christopher Reeves is so charming as Superman and he makes an ok Clark Kent. It doesn’t get bogged down in exposition but is light and fun with great music and decent if hokey special effects. Gene Hackman is good as Lex Luther . 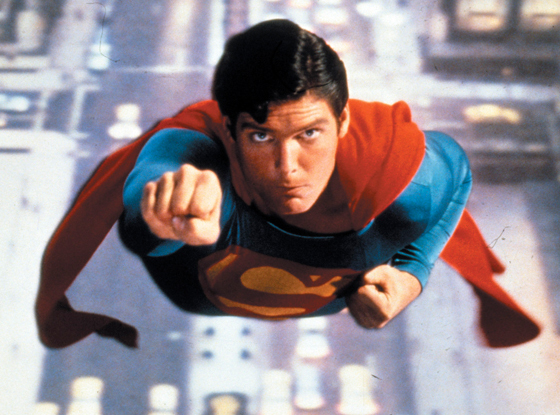 Superman is kind of a boring superhero because he’s so perfect but this film finds the balance of embracing the silly while not being too silly (aka Superman 3 and 4…). We also don’t get too much of the Savior metaphors like we do with Man of Steel or Superman Returns that take themselves way too seriously. 9. 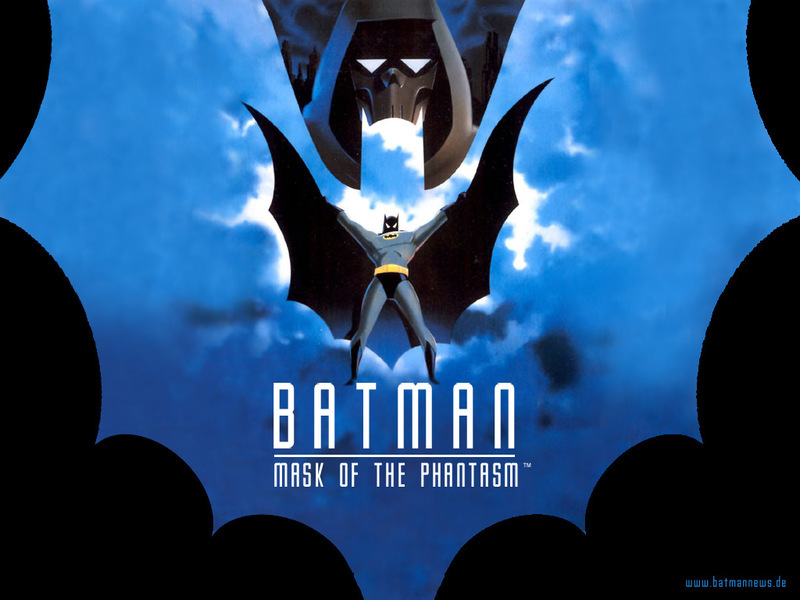 Batman Mask of the Phantasm- Yep friends this is my favorite Batman movie. Maybe that won’t be a surprise because I love animation but I honestly think this is the best movie depiction of Batman. He’s not just a bore but he gets jealous, frustrated, happy, a mixture of emotions. Kevin Conroy is great as Batman and perhaps it is only in animation that you can pull off the mixture of Bruce Wayne and Batman because you can draw whatever you want it to be where an actor may just be better at one side than the other (same problem so far with Peter Parker). Mark Hamil is wonderful as Joker. It’s a well written script with a bit of a mystery involved but it isn’t too grim or violent. Now I just wonder when the heck it will come out on blu-ray! 8. The Rocketeer- A movie too often forgotten but a very sweet homage to 40’s action movies. It stars Billy Campbell as a stuntman who finds a rocketpack that was designed by Howard Hughes. Jennifer Connely plays his girlfriend and the rest of the cast is stellar with Alan Arkin, Timothy Dalton as our Nazi bad guy, Terry O’Quin and more. I defy you to not be charmed by it. 7. X-men: Days of Future Past- Of the big franchises Xmen has always been my favorite. Even when I had sworn off the genre I still kind of liked the X-men movies. Maybe partly because they are the only franchise to pull of interesting female characters and they almost always deal with something thoughtful and complex without getting mean spirited and who doesn’t like Hugh Jackman? I think the recent X-men Days of Future Past is the best of the 7 (including the Wolverine movies) to have come out. It has it all- amazing ensemble (Patrick Stewart, Ian McKellen, Michael Fassender, Hugh Jackman, Jennifer Lawrence, James McEvoy I could go on. Almost every member of the cast has an Oscar nomination or win. Not bad for a superhero movie). But its also the Inception of Superhero movies. The time travel element creates layers of a puzzle to figure out and Quicksilver is an amazing villain with special effects. It’s great! 6. 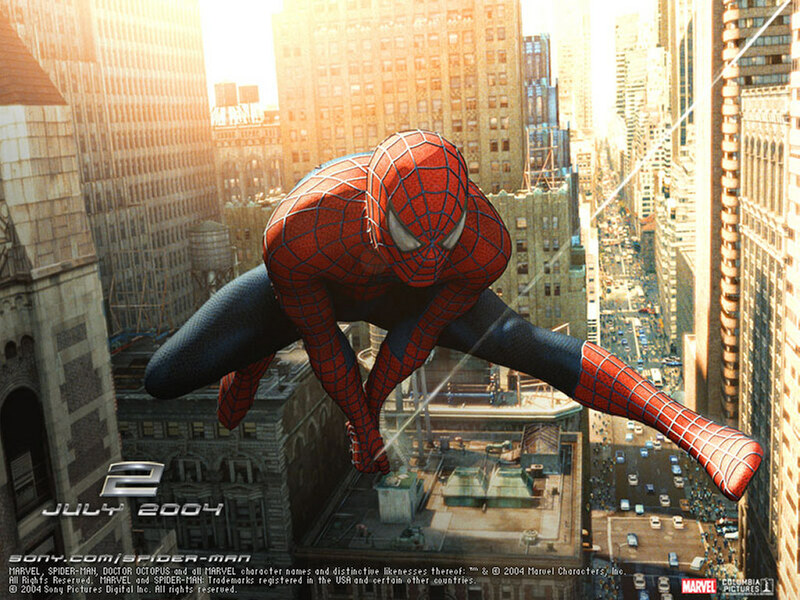 Spider-man 2- For my money it is the only good Spider-man movie that has come out so far. The others have good elements but this is the only one that fires on all four cylinders. The special effects still hold up, the large set pieces like the train fight is gripping, Tobey McGuire is charming enough to get me to ignore Kirsten Dunst and James Franco and him have good rivalry. But really the reason the movie is special is Dr Octopus who is such a great, engaging villain. He has really positive motivations through a lot of the movie but he has no self control . It makes him very interesting and fun to watch. 5. 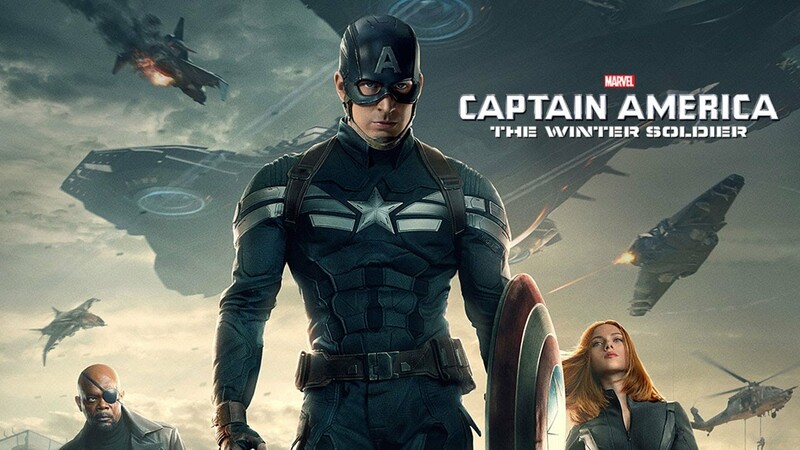 Captain America 2: Winter Soldier- A great superhero movie because it’s not really a superhero movie. It’s a spy flick like Mission Impossible with an amazing villain for Winter Soldier, great action fight sequences, a car crash sequence which felt so real, Robert Redford is great (that’s the quality of actors we are getting now!). The Nick Furry twist was very clever and it is so well paced. It never lost my interest or got boring. They build the case with very minimal exposition typically housed within a trip to the museum or some other outing so it doesn’t feel like exposition. Captain America is likable and Chris Evans keeps the character innocent like a man from the 40s might be while still being tough. 4. 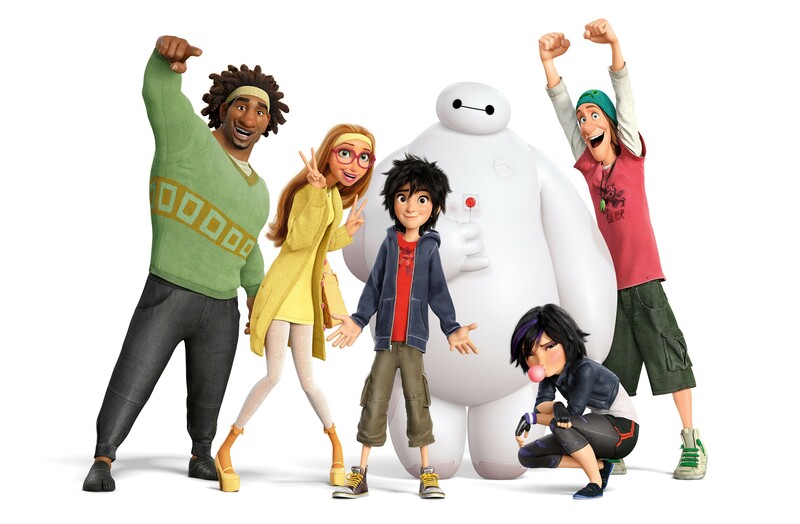 Big Hero 6- I just got Big Hero 6 on blu-ray and watched it and loved it all over again. It is a superhero movie with real heart. I loved the connection of the two brothers through Baymax. It reminds us that those we love never really leave us because the love continues on. I also loved the diversity of the Big Hero 6 and I thought the motivation of the villain was really clever and surprised me. Also Sanfransokyo was gorgeously drawn and a fun new setting. Overall a huge win for Disney. 3. Guardians of the Galaxy- Don’t worry this is my last from last year. Guardians has everything I want in my superhero movie. It is a likable band of misfits that are gathered together to fight a bad guy. I love the friendship between Groot and Rocket. Chris Pratt is great as Starlord. It’s fun, keeps you guessing and has the best soundtrack I’ve heard in years. It really reminded me a lot of Star Wars with a much weaker villain, and that’s really its only mark against it. I think they actually picked the wrong villain. Nebula is much more complex than Ronan. Still I loved it! 2. 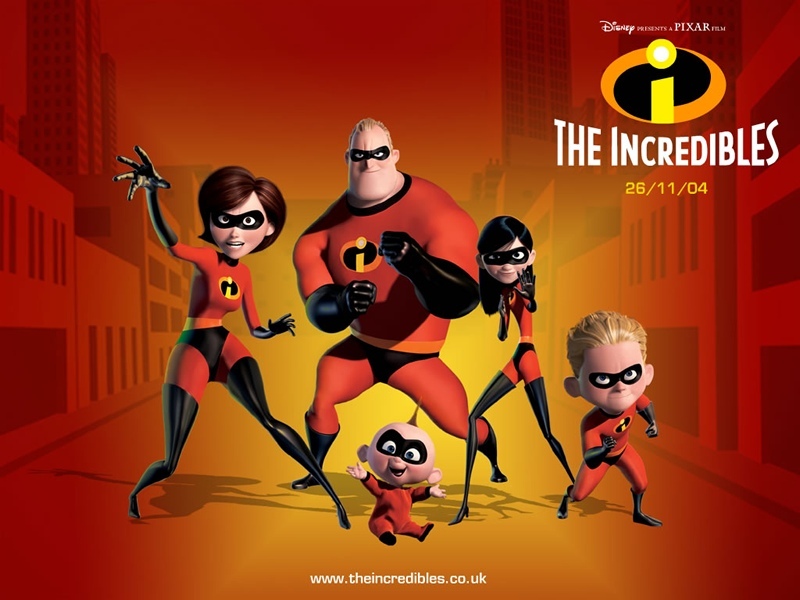 Incredibles- Even when I had sworn off Superhero movies I still loved The Incredibles. What’s so great about this movie is it includes so many of my favorite genres all in one. It’s a family movie with a stay at home Mom and her 3 kids who all have their struggles, it’s a movie about work and how when we aren’t doing what we are made to do we aren’t happy, and its gorgeous animation. Every choice they made works. The villain is very scary with a believable and brief backstory. Edna is hilarious (no capes! ), and the ending is perfect with everyone learning just the right lesson. Also love Samuel L Jackson as Frozone! It’s actually the first movie I saw when I came home from my 20 month mission for my church and it was a great choice to get reintroduced to cinema. 1. 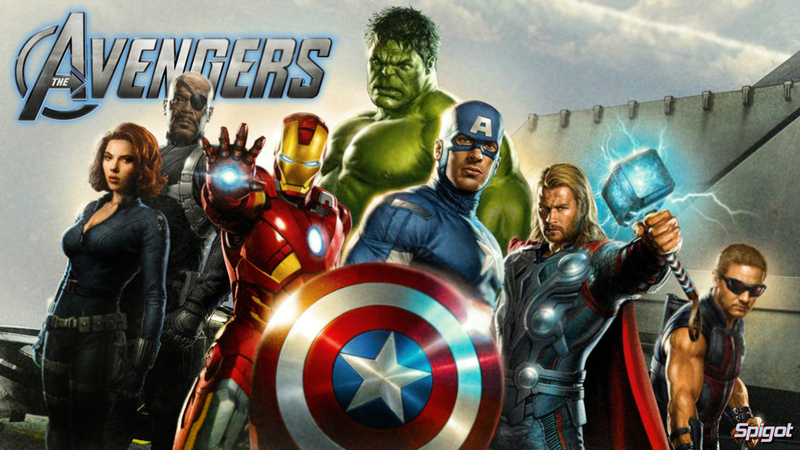 Avengers- This actually came out when I was in my ‘I hate superhero movies’ phase but it was the biggest movie ever so of course I ended up seeing it and to my surprise I loved it. What I liked most is it didn’t take itself too seriously. It was fun without being stupid. I hadn’t seen most of the precursor films leading up to Avengers except Ironman but I don’t think you need to enjoy the movie. Joss Whedon is such a great writer creating likable characters that we can root for and a team dynamic that is unpredictable. I like that the destruction isn’t too bad and its not really trying to teach us anything. Just give us a team we can root behind and see them seriously challenged by a formidable villain in Loki, who I love. Tom Hiddleston is my favorite performance in the movie. He has motivation behind what he is doing and he never gets mean or too violent like the Joker can. He’s probably my favorite comic book villain, maybe because he doesn’t really see himself as a villain. In the end the script is well written and funny with good action. That’s enough to get 1 on my list. So there you go! What do you think of my list? I know all of you would put the Dark Knight so maybe give me some other one’s besides Dark Knight you would have included? I’d love to hear.